$100 cashback for $500 worth purchase in first 3 months. Introductory balance transfer APR 5.25% for 36 months! You will not pay for this card annually. There is no foreign transaction fee. Balance transfer and cash advance fee rates are good. 13.24% - 23.24% APR for purchases and balance transfers is fair. 1% cashback rate is below average. 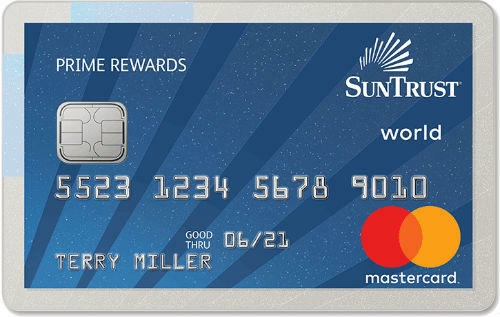 SunTrust Bank Prime Rewards Credit Card is another cashback card of SunTrust Bank with reasonable interest rates. Besides 5.25% APR for first 36 months is one of the best features of the card. After 3 years, balance transfer APR is going to be 13.24% – 23.24%. It depends on your creditworthiness. There is no similar introductory APR for purchase. The cashback rate of the card is 1% for all purchases. This is below average. $100 bonus cash reward after $500 purchase in 3 months is not bad at all. This will provide x20 bonus for your purchases. There is also no annual fee of the card and no foreign transaction fee. Balance transfer and cash advance fees are reasonable. 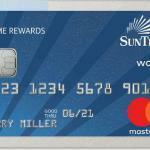 Learn more about rates and see user reviews for SunTrust Bank Prime Rewards Credit Card below. Regular: 13.24% – 23.24% 1% cashback on all purchases.